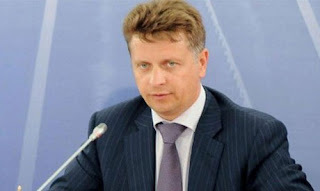 Claims that a Russian airliner which crashed in Egypt was shot down by terrorists "can't be considered accurate", Russia's Minister of Transport Maxim Sokolov told the Interfax news agency on Saturday. "Now in various media there is assorted information that the Russian passenger (plane)... was supposedly shot down by an anti-aircraft missile, fired by terrorists. This information can't be considered accurate," Interfax quoted him as saying. Two of Europe's largest airlines have decided to avoid flying over the Sinai peninsula while they wait for clarity on what caused a Russian airliner carrying 224 passengers to crash in the area on Saturday. 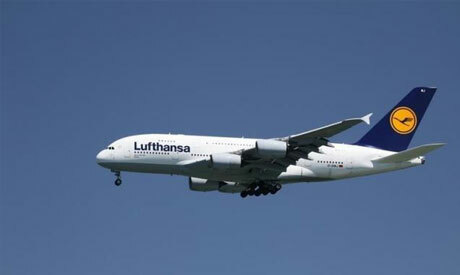 German carrier Lufthansa and Air France-KLM have decided to avoid the area for safety reasons, spokeswomen for the carriers said on Saturday. "Air France confirms it has set up, as a precaution, measures to avoid flights over the zone of Sinai," the spokeswoman for the carrier said. Experts have set little store in the idea the Islamic State group could hit an aircraft flying at 9,000 metres (30,000 feet). "IS does not have the gear to knock out a plane at 9,000 metres," said Gerard Feldzer, former director of France's Air and Space Museum, explaining that would require equipment, such as a mobile radar tracking system and long-range missiles, which IS does not have. To reach a plane at that altitude "you would need hard-to-use missiles, so it seems unlikely," added Jean-Paul Troadec, former director of France's BEA aviation investigation agency. "This requires trained people and equipment that IS does not have, to my knowledge," according to Troadec. The theory that the plane was hit by a missile at a lower altitude also seems implausible to experts, who pointed out that such an attack would still take plenty of preparation. Russian Transport Minister Maxim Sokolov was also quick to dismiss the idea, saying: "Our Egyptian colleagues and aviation authorities... have no information that would confirm such insinuations." "A terrorist attack cannot be ruled out," according to aviation experts, who argue a bomb could have been placed on board the aircraft. "In terms of a bomb on the plane, whatever its size, if it explodes at an altitude of 10,000 metres, the plane will completely disintegrate because of the pressure," said one military expert. "But something could have happened lower down, or someone on board could have forced the pilot to descend, and an engine could have exploded when the aircraft was lower." Other experts pointed out that Egyptian airports are not very careful about baggage control. An official from Egypt's air control authority said the captain had complained that the communication equipment had failed -- he was "aware of a problem," according to experts. 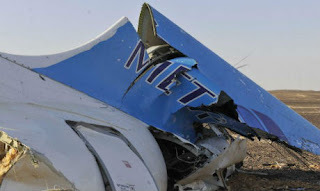 The Kogalymavia airline, which operates under the name Metrojet, said the aircraft underwent safety checks last year, and Russian aviation agency Rosaviatsia said there was "no reason to consider that the cause of the disaster was a technical problem or a crew error". Russia used to have a very bad reputation for air safety because of its ageing fleet, but its track record has improved in recent years as major companies such as Aeroflot, which dominates the sector, have upgraded their aircraft. That said, the small regional companies that run the flights to sunny holiday destinations used by the poorest Russians still operate a much older fleet. According to Metrojet, the captain, Valery Nemov, had more than 12,000 hours of flying experience, including 3,860 hours on the type of Airbus A321 he was flying at the time. Weather conditions were also fine.